Suppose you had a secret. A secret that would cost you your career, your friends and your place in a very stratified society. The list of things you shouldn’t do is pretty basic: don’t put anything on paper, don’t tell anyone and don’t continually plan a homicide in earshot of your colleagues. John Preston, an adroit novelist who is also the TV critic and arts editor for the Sunday Telegraph, takes out his journalistic toolbox in the telling of “A Very English Scandal.” He takes the reader through nearly every turn in this long and winding true story, from the first encounter between Thorpe and a man named Norman Josliffe to the almost comical botched attempt on Josliffe’s life on a dark and stormy night. His laser-like focus, while admirable in its no-stone-unturned way, does bog things down about halfway through; a reader wonders, when is the rubber going to really hit the road? This isn’t a book that you can digest in fits and starts. The long cast of characters and the intricacies of the British Parliament require some serious sitting-down time; otherwise, you’ll spend time paging or scrolling back, in order to make sense of where you left off. The meticulousness is necessary, though, to make sense of how things came to be in such a sorry state in Thorpe’s life, and the lives of many of his co-conspirators. There are letters lost and found; a simple solution that would have solved everything early on; and a lot of double-crossing and double lives. 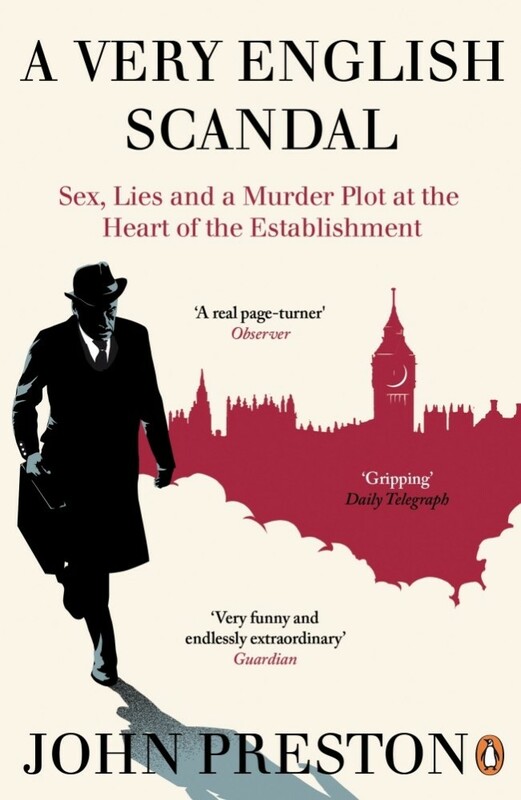 The story that Preston skillfully -- if a little too thoroughly -- tells here is a much broader one than that of an MP; it’s also the tail end of a way of life for corrupt politicians of the 1960s and ’70s, and the financial and social upheaval that arrived shortly after.